Former Minister of Aviation, Femi Fani-Kayode, has lashed out at a first class Yoruba traditional ruler in Osun State, the Oluwo of Iwoland, Oba Abdulrasheed Adewale Akanbi, who has dropped his traditional dresses and adopted full regalia of an Emir. 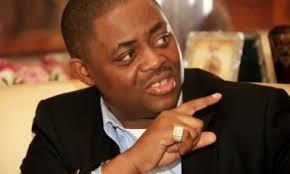 Fani-Kayode labelled it as, “an unfolding identity crisis” and blamed it on President Muhammadu Buhari. Oba Akanbi has also banished palace idols and relocated the popular one that has been in the place to another shrine in the town. The traditional ruler said Iwo was the home of Islamic scholars and that he could be regarded as an emir.